Let’s analyze Diego Simeone’s Atletico Madrid squad for the upcoming Derby from the capital against Real Madrid, a Saturday match at the Metropolitano. 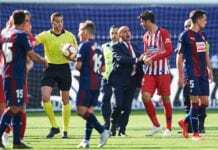 Diego Simeone’s Atletico Madrid isn’t exactly going through the best times in La Liga, they are fresh out of a painful defeat at Betis last weekend and they don’t have any time to rest because they face Real Madrid on Saturday at the Metropolitano. With a whole stadium cheering for them, the Colchoneros will have that advantage of playing at home but the manager knows that they will have to do a lot more to avoid getting defeated by this Real Madrid squad. 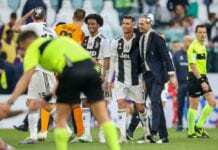 During the first half of the season, Atletico paid Real Madrid a visit at the Bernabeu that ended in a goalless draw between both squads but neither of them would like this result now because they are still fighting to win La Liga against Barcelona. The point gap between the two clubs is currently at 2 units, with the Colchoneros having 44 points and Los Blancos with 42. 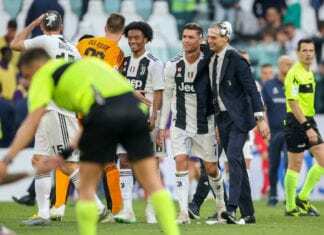 This means that a victory from Real Madrid would take the second place from Atletico, something that manager Simeone will try to avoid at all costs. Let’s have a closer look at the players who will most likely start for the locals, both defensive and offensive components. The Colchoneros were playing without injured Diego Goding for a few weeks, but the Uruguay international has returned to top form and is set to make his comeback against Real Madrid on Saturday. Colombian Santigo Arias was taking the skipper’s place but he apparently didn’t do a great job on the last game against Real Betis because Atletico Madrid lost 1-0 and they are now in danger of losing the second position in La Liga. ‘Cholo’ Simeone has decided to move the Colombian full-back to cover the squad’s left flank, which means that the former PSV Eindhoven player will have to deal with Vinicius all night and he seems ready for this new challenge. Lucas Hernandez completes the line of defenders who will protect goalkeeper Jan Oblak. Midfield will give us a defensive duo with Thomas Partey and Rodri Hernandez because Koke will miss the match due to an injury he is recovering from. As we all know, Diego Simeone’s style tends to be more conservative despite playing at home and tomorrow will be no exception just by looking at this set up in the back. The front looks promising for Atletico Madrid, as they will have Angel Correa and Saul Ñiguez on the wings and will try to get inside Marcelo’s head throughout the whole match. The more equipped player to take on the right flank is the Argentine, but both players can trade positions at any time. Up front we will always have Antoine Griezmann leading the charge, the French forward hasn’t responded that well this season with too many goals but he does complete some very important defensive work for the Colchoneros. However, Griezmann won’t be the main attraction of the evening. Everybody wants to watch Alvaro Morata play his very first match against his former club, they all want to see his reaction if he gets to score a goal at the Metropolitano because not celebrating could be detrimental to his adaptation in his new club. Morata came to replace injured Diego Costa, who has suffered several problems since he came back from Chelsea at the start of the season. This is hands down the most exciting match of the weekend throughout Europe, maybe Manchester City vs Chelsea can top it but we rather not choose between the two. Which starting XI would you pick to face Real Madrid on Saturday? Please share your opinion in the comment section down below.